08:57 am - Finally, my pencils were getting dusty. Finally broke out the pencil and paper again. It's been months since I last drew, and probably years since I last drew using pencil and paper instead of the computer. But with so many anime fans at school, and many of them awesome artists, every time I go to their class I get bombarded with displays of their newest artwork, so this week I also dug out my own drawing tools. First up, Sebastian from Kuroshitsuji, done on Monday. Took about 1.5 hours (while watching Criminal Minds, lol). Drew in pencil, then inked with a slim marker from the 100yen shop (equivalent of the dollar store). I used it as the cover for one side of a clear file I use at school to keep class worksheets. 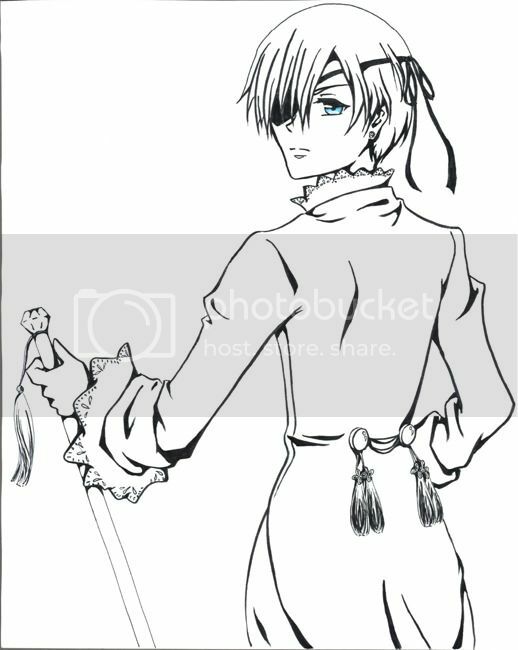 Yesterday I did Ciel, also from Kuroshitsuji. 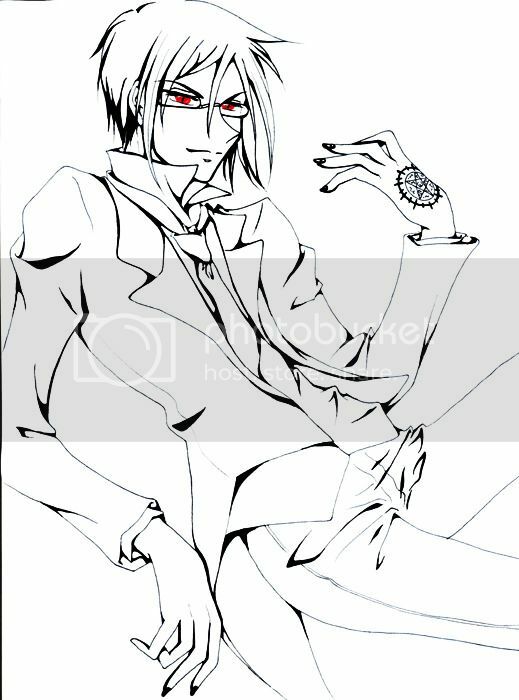 Same as the Sebastian one, 1.5 hours, drawn in pencil then inked. This time I used a pen/brush that's meant to be used for writing Japanese calligraphy. Since it imitates a brush the tip was much softer than the regular pen/marker and thicker too. I found it was good for places like the body, but for details like eyes, hair, etc. it was better to use the thinner inking pen and then use the brush to help vary the width of the lines. This one's going to be the other side of the clear file.